This entry was posted on Monday, February 11th, 2019 at 7:48 pm	and is filed under Brand Loyalty, Prices	. You can follow any responses to this entry through the RSS 2.0 feed. You can leave a response, or trackback from your own site. 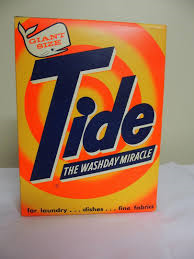 I have never used Tide; it always seemed to me to be more expensive than other brands. HDX paper towels, which I believe is the house brand of Home Depot, work just fine. (I wonder how many people use a sheet more than once.) I also buy Angelsoft double-roll toilet paper. Never bought Charmin…really disliked Mr. Whipple. I like the Bounty select a size cause they last longer. 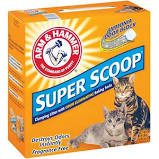 I also rely on Arm & Hammer detergent which is less expensive. Also, a big fan of Downy Wrinkle Release for those of us who don’t like to iron. Can’t wait to try HDX paper towels. I like Bounty because the sheets are strong and last through whatever I put them through. Cheaper towels shred and disintegrate and I often need far more than one sheet and I really dislike working with a shredded piece of paper. Mr. Whipple drove me nuts too. I’m willing to give Angelsoft a try especially if less expensive than Charmin! I find that if I remove tee shirts and other like clothes from the dryer after a short while and hang them up to dry I don’t need to iron them so I’ve not bought a product to remove wrinkles. I like Bounty. Cheaper paper towels shred, drive me nuts and I need many more sheets to get something done. Home Depot has amazing prices. NYC grocery stores must pay so much for real estate that they cannot discount detergents as stores upstate can do–the containers take up too much space. Last night I saw a moderate size bottle of laundry detergent at a midtown grocery story for $26. I admire you for using rags. I also tend to be faithful to brand names, but am not inextricably wedded to them. I am more consistent about food items than other goods. I buy Tide and I guess I thought all bleach is Clorox.. However we often shop at the now legendary (courtesy of the Harvard Business school) Market Basket which carries every brand imaginable and many things under their own label. Almost always when we have bought the store brand there has been no disappointment. My grandfather, a grocer, also told me years ago that items labeled “S.S.Pierce” thought to be more precious and costly were also made by the same manufacturers that sold under their own names. It seems foolhardy or counterproductive to needlessly or constantly raise prices of established brands as innovative contemporary companies seek to offer beautifully packaged versions of the traditional brands for less. Trader Joe’s sells many products under its own name that are as good if not better than far more expensive options. Take olive oil. For $7.00 I get a large bottle. I was stuck last night and bought a miniscule bottle for $7.99 at a Manhattan grocery store. One becomes accustomed to constant use brands over time, so I buy in sufficient quantity to be able to jump from sale to sale. I haven’t paid attention to cost other than looking for a decent number following the minus sign….it’s too depressing! I favor Tide/Oxi-Clean depending, and Quilted Northern toilet paper and refuse to support artsy fartsy anatomically incorrect red/blue bears discussing a function they are unable to perform! Poetic license has limits! I am a lousy shopper bearing the logo: The sooner I’m in the store, the sooner I can leave! When I had space I was able to buy things in large quantities on sale. I will be curious to see how I adjust to a different circumstance. First things first: I must unpack countless boxes. Until then, no shopping allowed except for food for a long, long time.